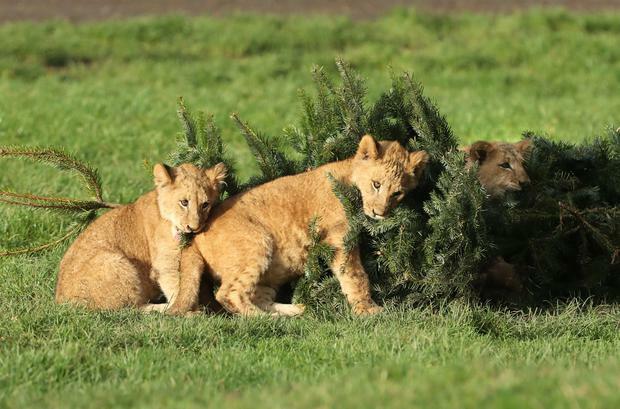 Keepers placed unwanted Christmas trees left over from their annual sale into the reserve at Blair Drummond safari park near Stirling. The four five-month-old cubs were first to investigate followed by their mother and aunt. 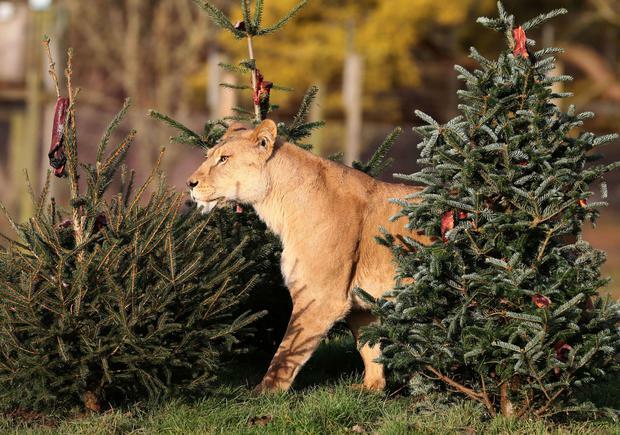 Brian Reid, head of cats, said: "We put new and novel items in the enclosure all the time to keep them stimulated, so it made sense to use these trees before they went for chipping. "Lions love to investigate new objects and smells, we put a bit of five spice on the branches alongside their meat for the day. "They'll keep coming back to revisit the smell, drag and jump on the trees for the rest of the morning."